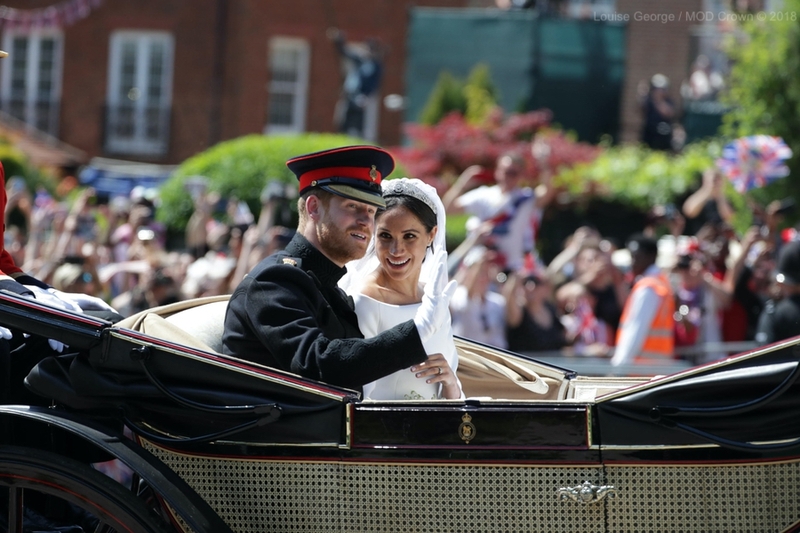 This afternoon (19th May 2018), the world watched as Prince Harry and Meghan Markle tied the knot! 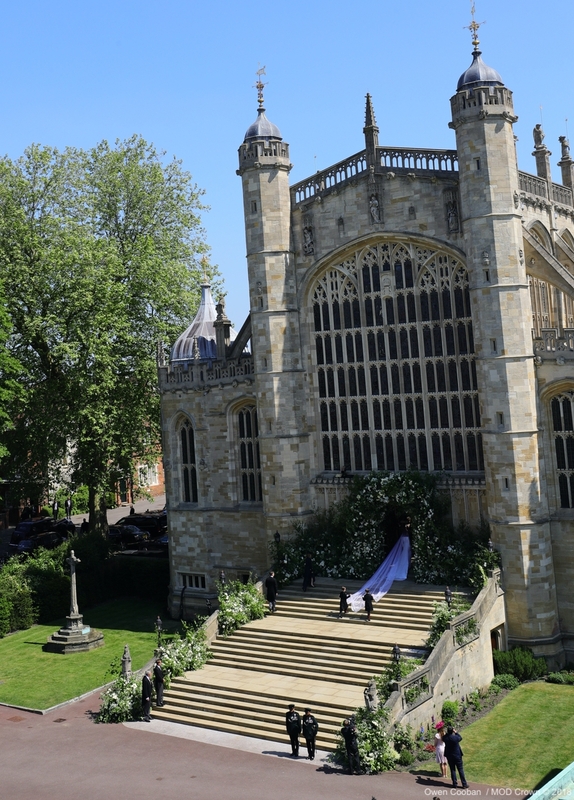 The couple got married at St. George’s Chapel in the grounds of Windsor Castle. 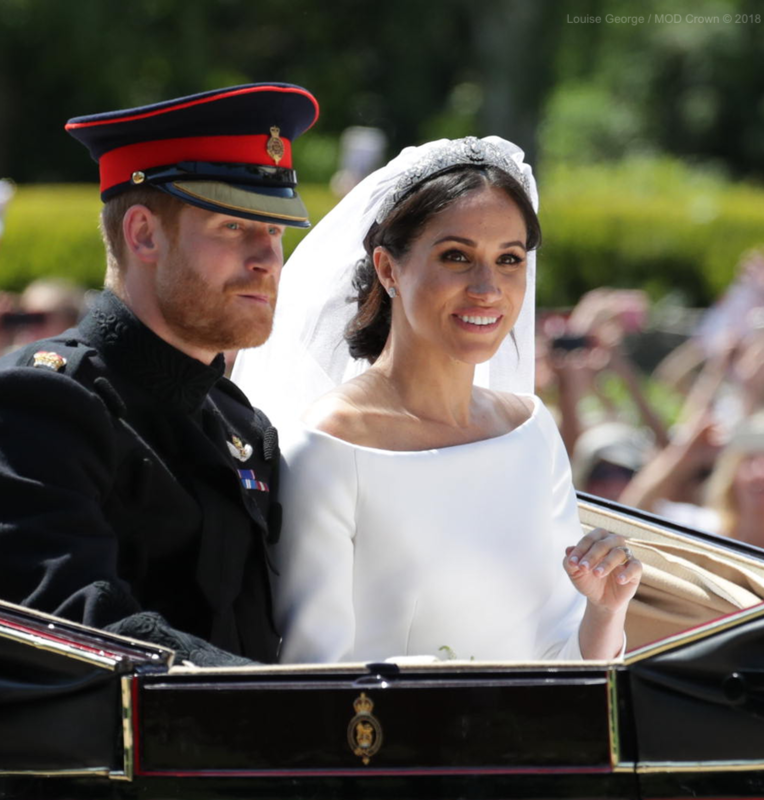 Meghan chose a classic white dress by acclaimed British designer, Clare Waight Keller. Last year, Ms. Waight Keller became the first female Artistic Director at French design house, Givenchy. 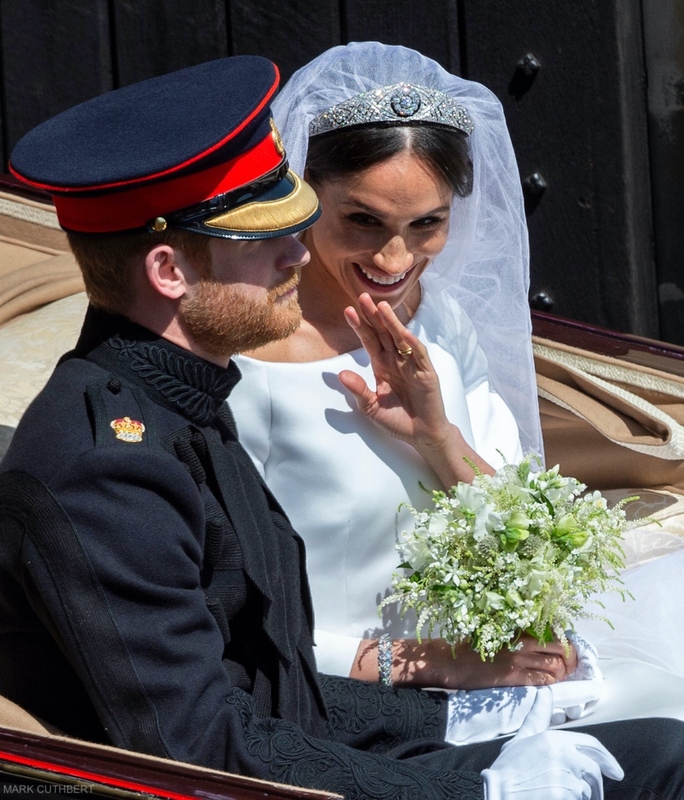 The Palace also confirmed that in choosing Ms. Waight Keller, Meghan wished to highlight the success of a leading British talent. 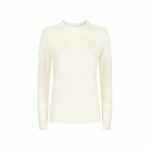 It was absolutely simple: pure and sculptural, in double-bonded silk cady with a wide boatneck, long sleeves and a sweeping train. 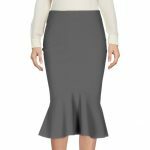 The pure lines were achieved using six meticulously placed seams. 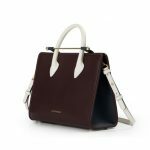 The focus of the dress is the open bateau neckline that gracefully frames the shoulders and emphases the dress’s slender sculpted waist. 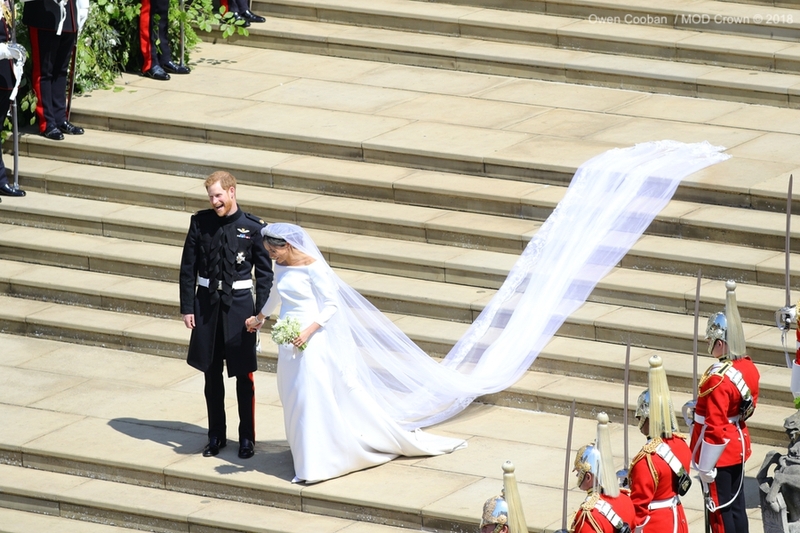 The back of the dress extends out into a train. 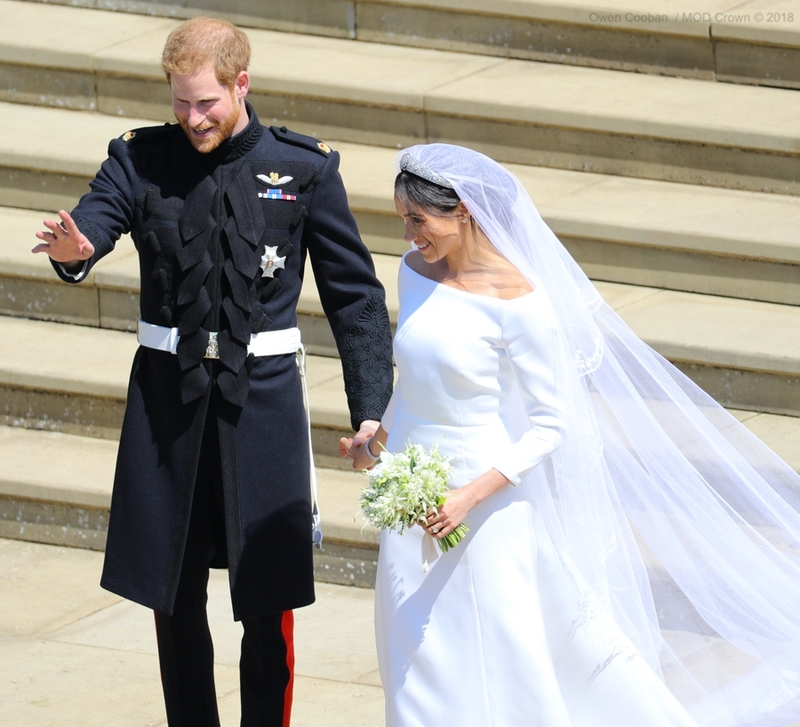 Meghan chose three-quarter length sleeves, which she felt added a note of “refined modernity”. 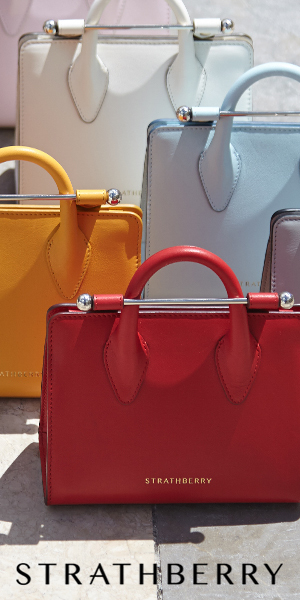 Ms. Waight Keller visited mills around Europe in search of the perfect fabric. 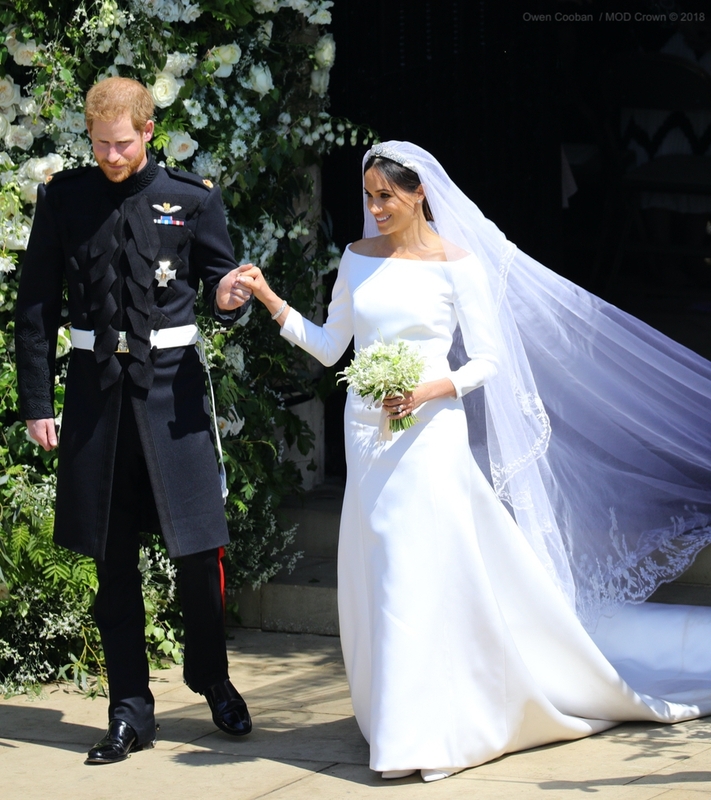 This culminated in a double bonded silk cady fabric being developed exclusively for Meghan’s dress. 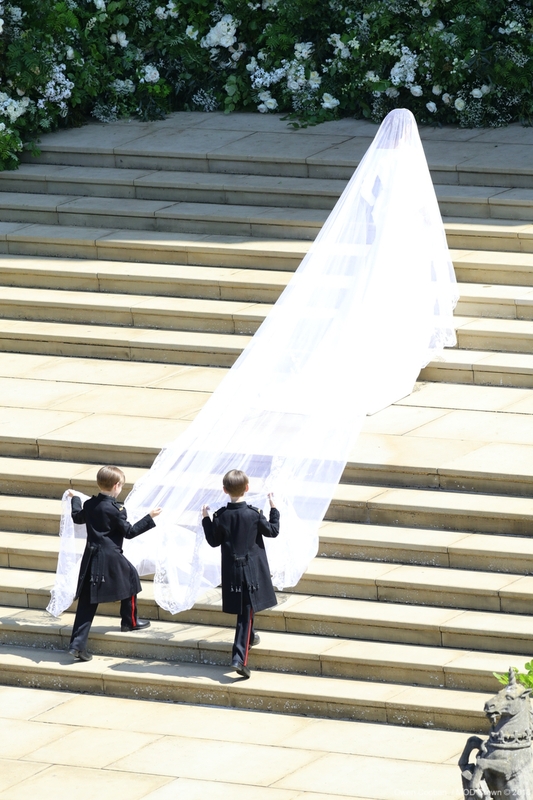 Meghan chose a five-meter-long veil, which was made from a silk tulle fabric. 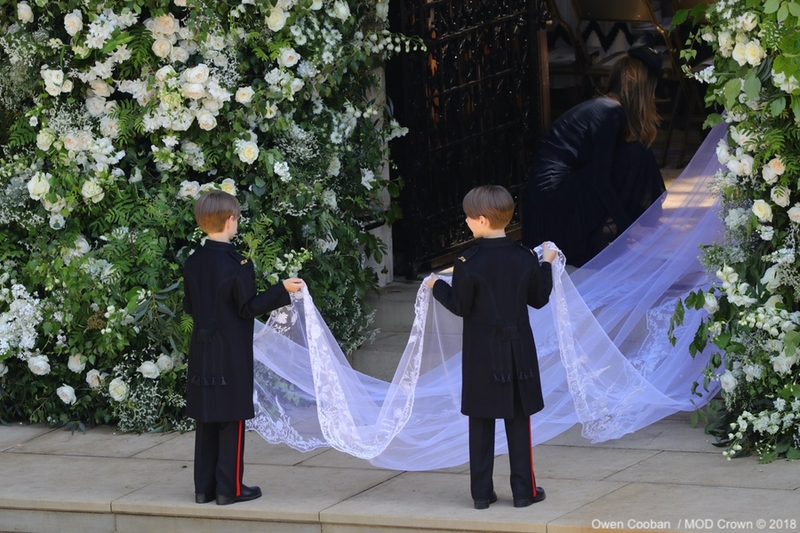 The veil is embroidered with the 53 floral emblems of the Commonwealth countries along the edge. 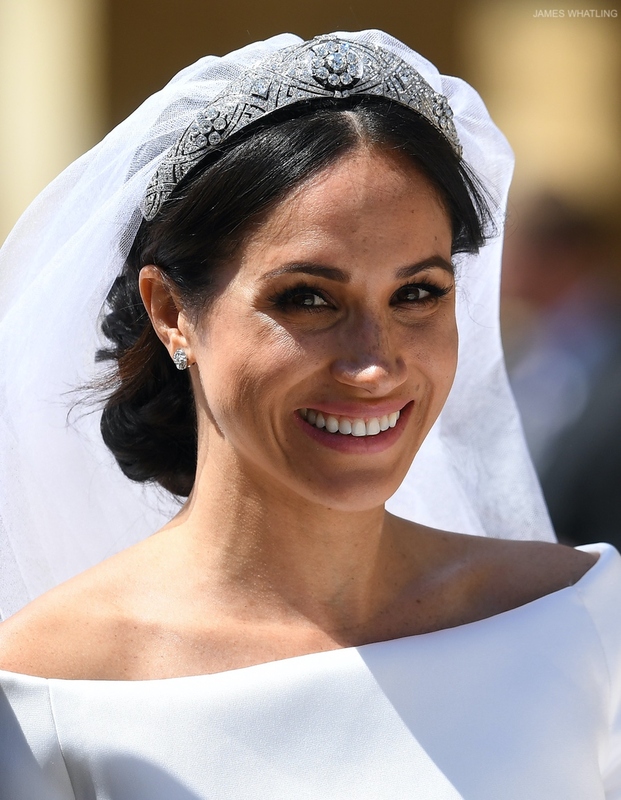 Meghan chose Queen Mary’s diamond bandeau tiara to hold her veil in place. 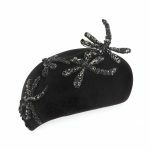 The tiara has been lent to Meghan by The Queen. The diamond and platinum tiara is English and was made in 1932. The central brooch in the tiara dates back to 1983. 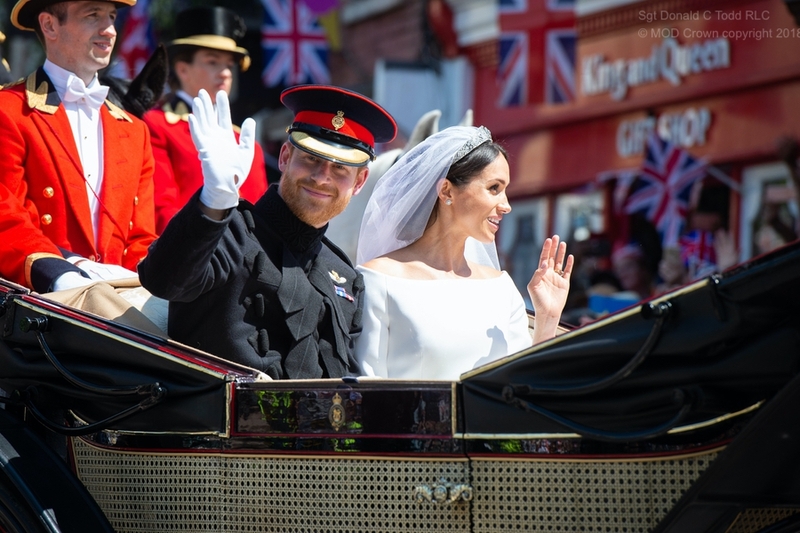 Meghan accessorised with a pair of earrings and bracelet by renowned French jewellers, Cartier. Meghan’s stud earrings are the Galanterie de Cartier style. 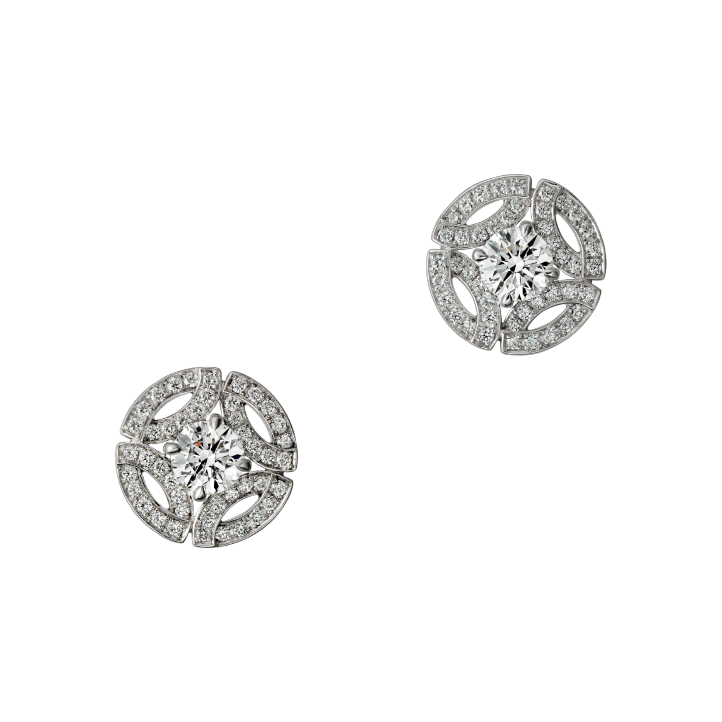 The stud earrings are crafted from 18K white gold. Each earring is set with a brilliant-cut diamond (available in 0.18 to 0.22 carats and 0.40 to 0.44 carats) and pavéd with brilliant-cut diamonds. Meghan’s bracelet is the Reflection de Cartier style. 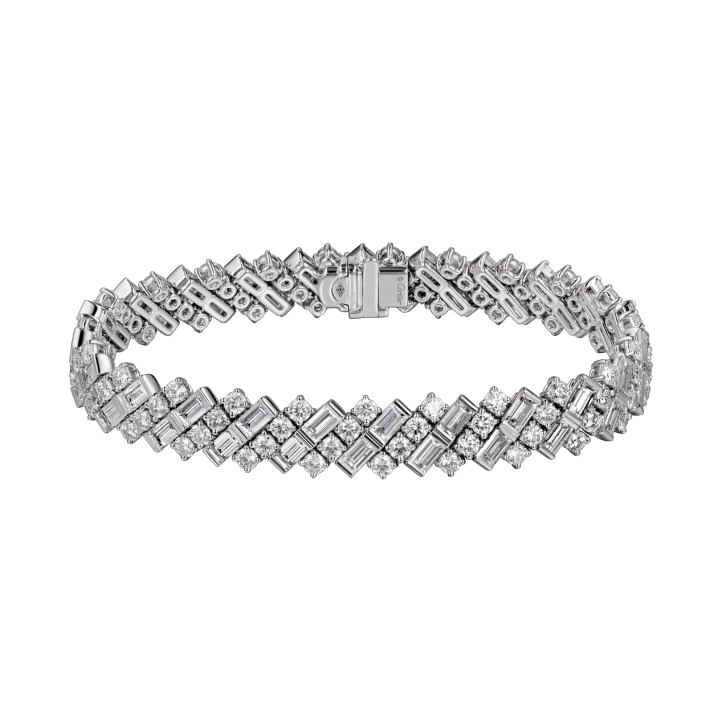 The bracelet is also made from 18K white gold. 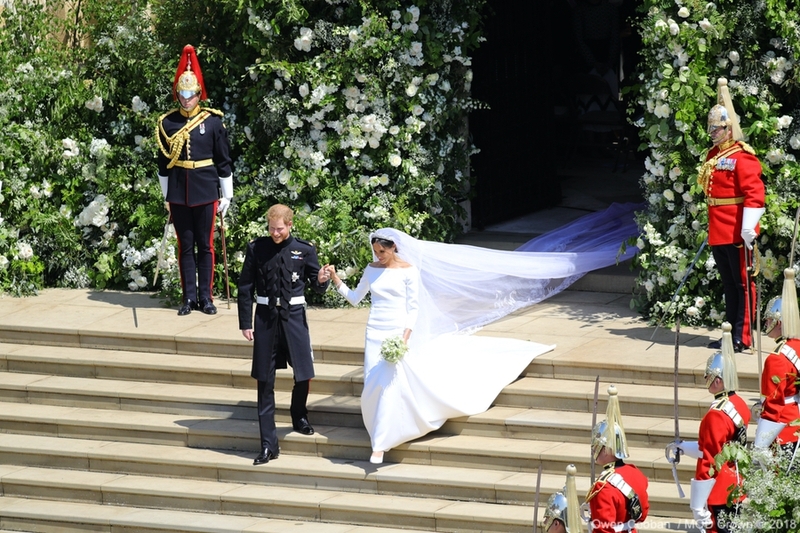 It is set with 104 brilliant-cut diamonds totalling 4.50 carats, and with 52 baguette-cut diamonds totalling 5.61 carats. 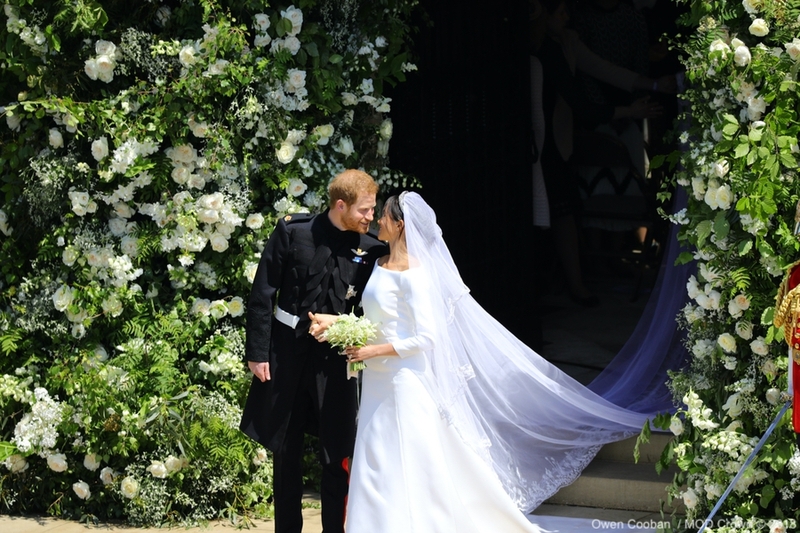 Meghan’s bouquet included several flowers handpicked by Prince Harry from the couple’s private garden at Kensington Palace. 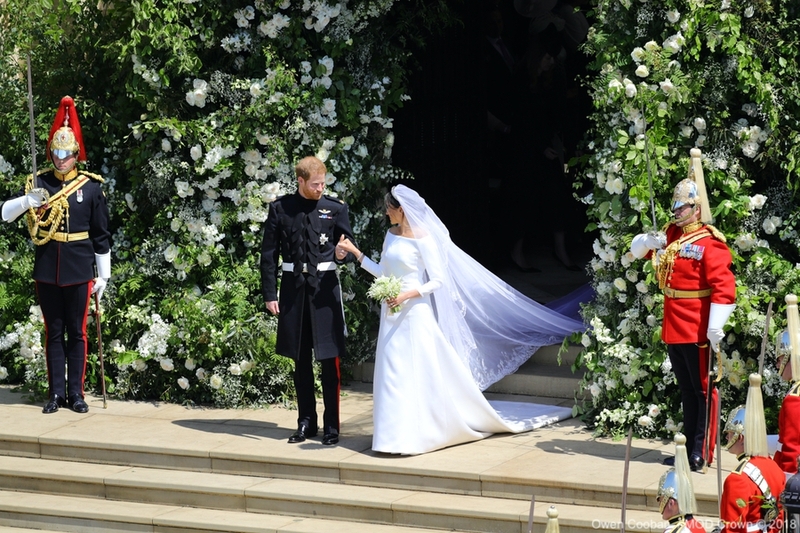 The spring flowers included Forget-Me-Nots, which were Princess Diana’s favourites. 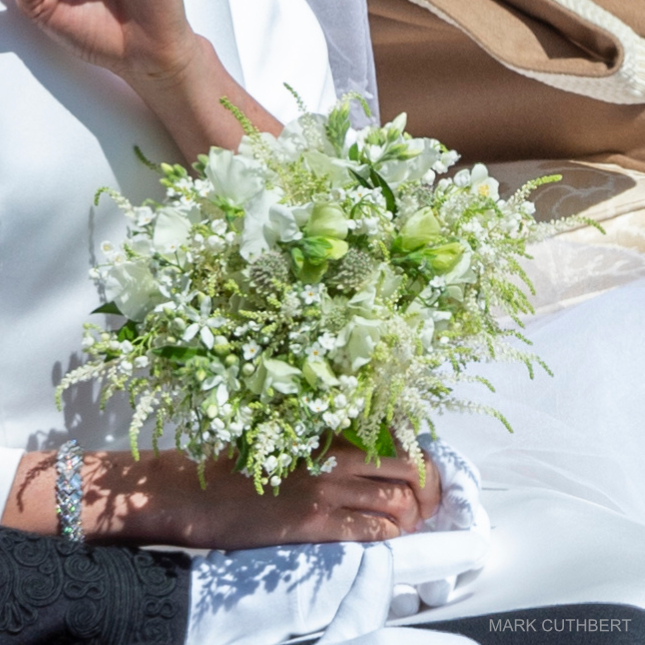 Meghan and Harry specifically chose the flower to honour the memory of Harry’s mother on their wedding day. The myrtle sprigs are from stems planted at Osborne House on the Isle of Wight, by Queen Victoria in 1845, and from a plant grown from the myrtle used in The Queen’s wedding bouquet of 1947. Meghan’s shoes were also by Givenchy. According to the Palace, the shoes were based on a Givenchy pointed couture design. They’re made from a silk duchess satin. 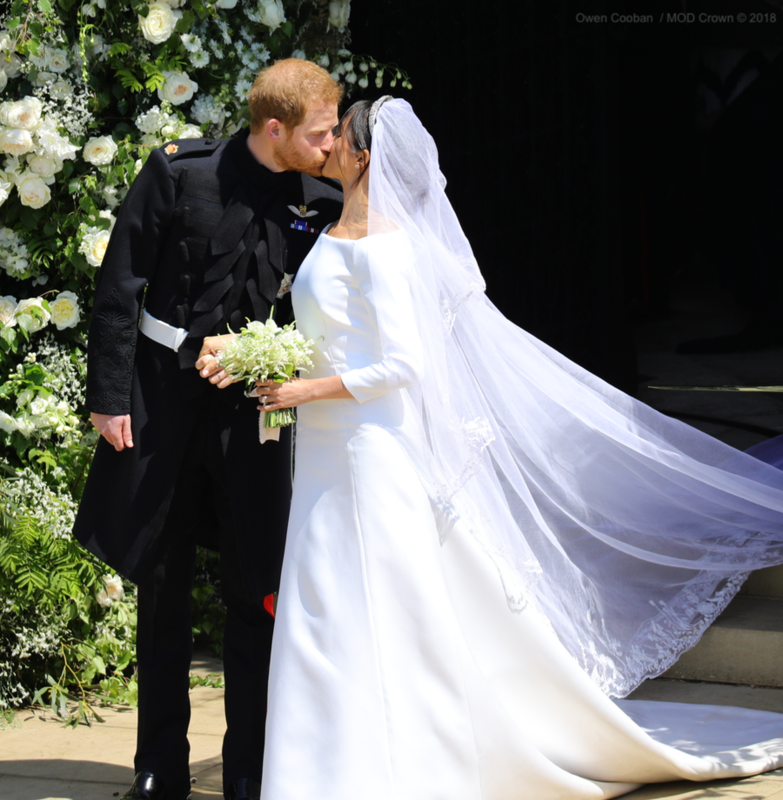 « Meghan wears Roland Mouret the day before her wedding! 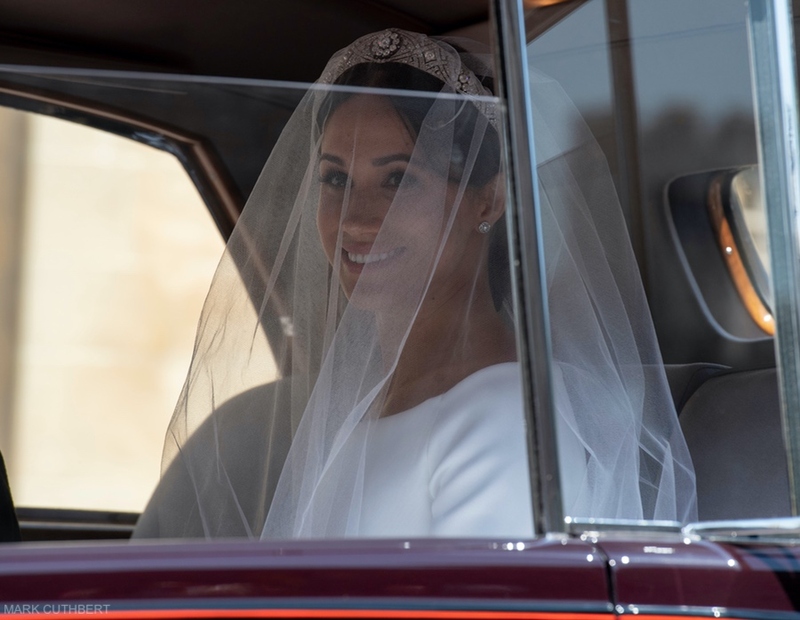 Meghan looks stunning. Perfect head to toe. 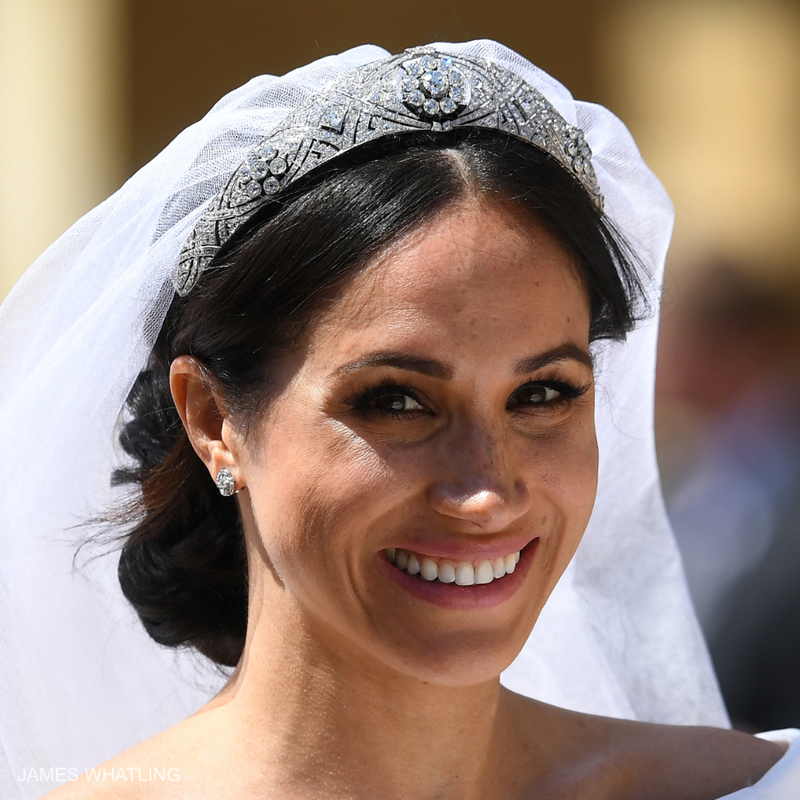 The bandeau tiara is amazing and so is the bracelet. 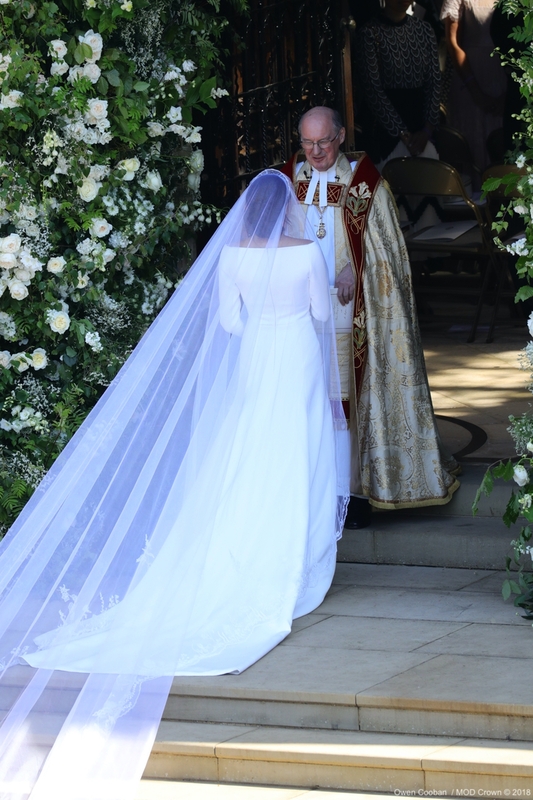 The dress reflects her personality and the veil is full of meaning. Well balanced the whole outfit. I wish them all the happiness in the world. Best wishes to a wonderful couple with a shared journey for the future. They will accomplish much for many and for themselves. How beautiful!